Borax and other soaps were the basis of creating creams many years ago. The high pH (alkalinity) and degreasing nature of these chemicals degrade the oils so they will be more compatible with water. Oil and water do not mix. One part of an emulsifier system breaks down (degrades) oil so that is no longer triglycerides. The other part of an emulsifier makes water wetter so that it is less resistant to oil. They may now be compatible with each other, but they are not good for your skin. You can do a little experiment and see for yourself. Take some vegetable oil and rub a light coat onto clear glass plate or glass. Then take some inexpensive dish soap and rub a little bit into the oil. It will turn white as you degrade the oil molecules and you have the beginning stages of an emulsion. Even today, many synthetic emulsifiers are based on this same concept with man-made ingredients such as PEG’s. The problem with all these emulsifiers is that when the moisturizer is applied to the skin, the soap / detergent part of the formula continues to “work” at breaking down on the oils and water inside the skin. This is why most moisturizers leave the skin dryer after using a moisturizer than if they had used nothing at all. PEG is the abbreviation for polytheylene glycol. PEGs and other ethoxylated chemicals are used as emulsifiers and stabilize and commonly found in personal care, baby care, sunscreens and skin care. Each number behind the PEG (such as PEG 100) indicates the molecular weight. PEGs are made by ethoxylating Propylene Glycol and is know to almost always contain dangerous levels of dioxin as a manufacturing by-product. Dioxin is a carcinogen yet is not listed as an ingredient because it occurs during the manufacturing of PEGs, triclosan (an antibacterial), and Sodium Laureth Sulfate (foaming cleanser). Unpublished studies are in process regarding the level of dioxin from PEG emulsifiers. Advanced professional skin rejuvenation product… safe and perfect for today’s skin. Natural ingredients and active delivery systems go a long way in providing results that were once reserved for chemicals, and synthetic ingredients. The Total Skin Rejuvenation Cream helps correct the results of stress and environmental factors on the skin. Skin is an incredible organ... it quietly works on our behalf, and even services the entire body with its reserves. Skin communicates its needs by turning red, itching, breakouts; fine lines and wrinkles. Even the extremes of dry and oily complexions are the skin telling that something is out of balance and needs help. When provided with organic, “raw food” nourishment, skin can start to automatically heal itself. The Total Skin Rejuvenation Cream’s formula helps promote the natural healing process of the skin. The Total Skin Rejuvenation Cream offers a comprehensive natural certified ToxicFree® skin care product that is truly healthy and delivers unmatched clarifying and age-defying results. Clinical studies and field trials have shown that the product helps improve collagen synthesis, decrease wrinkle depth, purify “city skin” stressed by ozone smog, as well as restore overall healthy functions and youthful vitality. The Total Skin Rejuvenation Cream philosophy is to care for the skin in such a way as to inspire greater health and well-being. The Total Skin Rejuvenation Cream goes beyond the cosmetic industry with high performance, efficacious and safe formulas that truly work and can be seen with visible results. Our organic, Toxic Free formulas aid in the recovery from the chemical ingredients and stress in our lifestyles that have created accelerated aging and skin dysfunction. The prestigious Certified ToxicFree® Seal means the Total Skin Rejuvenation Cream products meet and exceed all the requirements of the California Safe Cosmetics Act. Total Skin Rejuvenation Cream’s commitment to purity includes using patented stabilizer systems avoiding the typical toxic chemical preservatives such as: Xenoestrogens (parabens) and / or formaldehyde donors (Diazolidinyl or Imidazolidinyl Urea, DMDM Hydrantoin, etc). These preservative options are globally approved and do not contain any components listed in the EU Annex VI or allergens. Therefore, these ingredients in products provide and substantiate the claim preservative free and ToxicFree. TheTotal Skin Rejuvenation Cream utilizes a unique patented combination 100% completely natural compounds. Together they generate a blanket of oxygen when the product is exposed to air during use. It is based on a solution containing Lactoperoxidase (raw milk enzyme), Glucose Oxidase (raw sugar enzyme), and a substrate solution of Glucose (natural sugars). The small quantities of these combined ingredients are activated when the components are systematically combined into various phases of formulas production. This elegant system creates a natural bio-shield that provides natural preservation. The Glucose & Lactoperoxidase & Glucose Oxidase system is not officially considered a preservative because it does not kill bacteria and is not a pesticide, yet it provides a complete and natural quality control for product anti-microbial stability with a solid two-year shelf life. There is no evidence of dermal irritation or intolerance. Total Skin Rejuvenation Cream’s unique, totally natural preservative is from a specific species of Japanese plants providing broad-spectrum anti-bacterial activity including rapid microbiocidal activity against Gram-negative bacteria, as well as Gram-positive bacteria, yeasts and molds. These ingredients are also used to maintain product integrity by self-sanitizing the product each time the product is used. Even when contaminated by “dirty fingers” this product re-instates a bacteria free product for the next use. The flower extracts also provide an antioxidant protection system to reduce the risk of product oxidation. These preservatives do not change the odor or color when added to a product and actually helps protect essential oils and other active ingredients. Shown to be devoid of skin sensitizing effects, it is also a non-irritant to eyes, skin and mucous membranes. Completely biodegradable, it provides no pollution hazard. 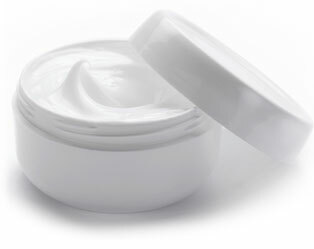 The Total Skin Rejuvenation Cream has not been tested on animals. An extract from roses, phenethyl alcohol is a clear, colorless liquid with a mild rose-like odor. Combined with the moisturizing and soothing coconut oil fraction, this provides an optimized combination of widely accepted and safe cosmetic ingredients which exhibits broad spectrum antimicrobial activity. This combination of actives shows a synergistic antimicrobial effect against Gram-negative bacteria, Gram-positive bacteria, yeasts and molds. The antimicrobial action is due to a combined effect on the microbial membrane able to inhibit and destroy microorganisms. It provides multiple benefits to cosmetic formulations as a skin moisturizer, skin-feel improver and rose-like fragrance, all in addition to preventing microbial growth. Organic extracts of: Citrus paradisi (Grapefruit seed), Camellia sinesis (Green tea), Aloe barbadebsis (Aloe Vera), infused in distilled water, Butter/oil blend infused in carthamus tinctorius (Safflower) Oleosomes, Cocos nucifero (Coconut), Ozonated coconut oil, Capylic/capric triglycerides (fractionated coconut), Butyrosperum parkil seed (shea) butter, Cetyl babassuate, Passiflora edults (passion flower), Oriza sativa (rice), Euterpe oleracea (acai), Copernicio cerifera (Carnauba), Ricinus communis (castor), Arnica montana, Mixed Tocopherois (Vitamin E from Jojoba oil), Cetearyl & Palmitate & Sorbitan Oilvate (olive derived), Cayenne pepper, Microcrystalline cellulose gum (plant thickener), vegetable glycerin, Xanthan gum, Lonicera japonica (japanese Honeysuckle) flower extract and lonicea caprifolium (honeysuckle) flower extract (plant preservatives), Ascorbic Acid, Essential Oil blend [vanilla planifolia (vanilla bean)], citrus sinesis (sweet orange), cirtus paradisi (grapefruit), citrus bergamia (bergamot - FCF). Formulation has been specially formatted with a quantum imprint, ionized water imprint 6.0 pH (Beauty water) as well as a special ozonated process for active regeneration and rejuvenation.